Key Verse: Verse 14 –"So Solomon built the house, and finished it." In the fourth year of Solomon’s reign as king of Israel, he began to build the temple of God. The key, though, is not just that he started, but that he finished. Many a believer starts a task for God, but because of the struggles and battles they face, they never finish the job. On four occasions in I Kings 6, you read the words and finished it; but in verse 38 we are told “the house [was finished] throughout all the parts.” The time, organization, people problems, building problems, did not stop Solomon. He finished the task himself. He saw the job through to its conclusion. “Leave the driving to us,” or so the saying goes. On May 28, 1993, Greyhound bus driver J. Massenberg balked on his company’s slogan and asked for a relief driver from the passengers on his bus. Thirty miles shy of his destination in Tallahassee, Massenberg said, “I quit. I can’t handle this anymore. Does anyone have a Class B license to drive a bus?” Nobody was qualified, but an off-duty police officer got behind the wheel and drove about thirty minutes while Massenberg slept. He reclaimed the wheel just before arriving at the bus station and drove in for the last time. 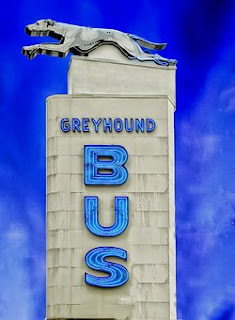 Needless to say, the rookie bus driver is no longer working for Greyhound. Responsibility involves completing a task, or making sure it is correctly completed by someone else. ✞ The key is not just being a good starter – but a good finisher as well. So finish the task! !